Smove is one of the pioneer car sharing companies in Singapore and we have lots of positive experiences using their services over the years. We call them a pioneer because they were the first in Singapore to introduce electric car rentals for a small community of people working at the Biopolis area during their initial operations in 2013. Our Parenting World team has been using their service since then. Fast forward to 2019, Smove has expanded into one of the largest and most popular car sharing companies in Singapore. Car sharing services are actually a bit different from traditional car rental services as they offer shorter rental terms compared to the 24-hour minimum car rental companies provide. In Singapore, car sharing services are getting very popular because of the high cost of car ownership. Furthermore, car sharing services can be used for super short trips like picking up groceries, running errands, or just sending the kids to school. In fact, we know of many families who already have one car but still use the car sharing services regularly because one parent might need to use the car for work, while the other still needs a convenient and comfortable means of transport to get the kids to their enrichment classes or run family errands. Thus, a car sharing service with short rental options makes it more affordable than having two cars at home. Families who don’t need a family car regularly (e.g. parents who take public transport to work) and only need the car on weekends for family outings will turn to car sharing services instead of owning a car. There are many families in Singapore with more than 4 family members (i.e. parents with 3 children or more) and if they take a taxi or Grab, they will need to book 2 taxis, but if they opted for car sharing with Smove, they could just rent a family car or an MPV to fit everyone in! We have been regular users of Smove’s car sharing services for several years now. It came in handy when our own family car was sent to the workshop for servicing, and when we just needed an extra vehicle at short notice. Being regular users of car-sharing services, we have tried out many other similar portals but can say that Smove definitely has a few advantages over the rest. 1. There are more than 110+ sites all around Singapore to pick up the car. This makes it one of the most accessible car sharing portals in Singapore. These sites are located at the HDB town centres, Orchard Road, Shenton way and other popular areas. 2. It is excellent for single trip users who need to get from point A to point B as you can drop off your car at your destination without the need to return it to the original pickup point. For example, if you are going from point A to B, then stay at B for a few hours (e.g. sending your child to tuition and then you go off to do some shopping in the meantime), you can book a return trip from point B back to point A, a few hours later. You don’t need to pay for the hours in between when you end your trip. If you are using other companies which you can only return back to the original pick up site, you will incur additional fees for the time in between when you are not using the car. One of the 110 + collection stations to pick up or return the car. There are usually designated car park lots for Smove cars in many carparks, so you don’t need to hunt for parking lots when you return the car. 3. There is no sign-up fee for Smove and no monthly subscription fee to pay. Their service is very transparent, only pay as you use, without incurring any additional fee or membership fee compared to other car sharing portals. 4. Generally, the condition of the cars are good and clean. This is very important especially for parents like us as we value safety for our family and would want the cars to be in good condition. We have never encountered any negative experience of a car being in poor condition which could be unhygienic or dangerous. 5. Petrol is included in the rental fee. Even if you need to top up petrol, you can use their Esso Speedpass in the car to top up at Esso petrol stations without making any payment yourself. 6. For those who need to ferry additional family members using MPVs, they have options like Mazda 8, Toyota Estima and Toyota Sienta to carry more people. For those who like to drive in luxury, they have several BMWs for rental and the pricing for these vehicles are not much more than the Mazda 3 and Toyota Aqua. For Mummies who may find parking cars a hassle, can book the smaller Toyota Aqua or Mitsubishi Attrage as these cars are user friendly and easier to park due to their small size. The Toyota Aqua is very easy to drive and a popular choice for many Mummies. Dashboard of the Toyota Aqua, user friendly and easy to use. 7. Very flexible and cheap pricing, as low as $2 for 15 minutes rental, suitable for those who need to drop one of your family members at the nearby MRT station and then go back home. 8. Easy to book and unlock the car. Once you’re registered as a user, you can link your EZ-link card to the system and unlock and lock the car using your registered EZ-link card which is very convenient. Using the EZ-link card to unlock the car. As a regular user of Smove and other car sharing portals, Smove has clearly been the preferred choice for us. We have seen how the company has grown over the years, introducing a wider range of cars to serve different types of users, expanding the number of rental sites to collect and deliver the cars, and providing good short-term rental packages and off-peak packages which are affordable and value for money. The Smove team has launched a new Facebook group, titled “Smove for Parents”. When you join this group, you’ll stand a chance to win annual passes to Universal Studios (2 adults + 1 children). 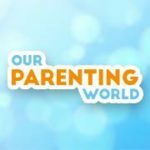 This is a community of parents who are looking for interesting things to do and a hub for all resources regarding parenting. The group also has a celebrity moderator to answer all their questions and March, the celebrity is Jamie Yeo. Please visit http://bit.ly/smoveforparents to join Smove for Parents. As parents, we believe Smove car sharing services is the right fit for busy parents who need a car for a short amount of time in their busy daily lives. The convenience of having a car available at short notice, and its relatively low cost, makes Smove one of the best hidden secrets for parents! In addition, quote “OURPARENTINGWORLD’ for an additional $10 worth of Smove credits on top of the usual $10 when you sign up. Hurry, this promotion is valid till 30th of April 2019!